New research just published finds that ginger powder may be beneficial for people suffering type 2 diabetes. The randomized, double-blind, placebo controlled trial involved 88 subjects affected by diabetes. They were given 3 one-gram capsules of ginger powder for a period of 8 weeks. The researchers found that the ginger reduced fasting blood glucose levels (decreased 10.5%) and HbA1c levels. 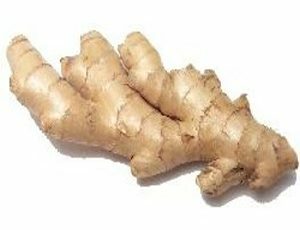 Ginger also improved insulin sensitivity - that is it may it easier for cells to take up the glucose from the blood and thereby reducing the overall blood sugar level. The placebo group on the other hand experienced a 21% increase in fasting blood glucose. 3 g of ginger powder is probably equivalent to about 15 g of fresh ginger which is a fair bit of ginger to eat everyday but it is possible. You can grate fresh ginger for chai or ginger tea. Ginger has of course lots of other health benefits including reducing inflammation. We highly recommend having ginger everyday. A plant-based diet can reduce the risk of breast cancer, according to a new study published online in the American Journal of Clinical Nutrition. Researchers followed 91,779 current and retired California teachers for 14 years. Those who had a predominantly plant-based diet had a 15 percent reduced risk of breast cancer compared with those who did not include abundant fruits and vegetables in their diets. The data showed a 34 percent decrease in the risk for a particular type of breast cancer, called estrogen and progesterone receptor negative, for those following a predominantly plant-based diet. The researchers also found that a diet they called the salad and wine diet increased by 29 percent the risk of a different type of breast cancer, called estrogen and progesterone receptor positive. Salad and wine diet - wine, champagne, fish, chicken, sea food, salad, coffee and tea (in other words, a few token vegetables in salads or salad sandwiches). Taking out the effect of wine drinking did not reduce the cancer risk, in other words, it does not seem to be the wine which was the cause of the increased risk but the lack of vegetables. Lettuce is simply not enough. There is simply no doubt about it: a plant-based diet, that is a diet, very high in vegetables, with some fruits, is, and will always be the healthiest diet to reduce the risk of cancer and just about any other disease you can think off. 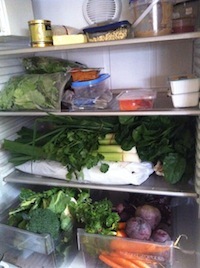 Here is a photo of our fridge on a good day - usually after the Sunday Farmer's market. Note it is called a plant-based diet. If you eat your vegies, you can enjoy a little meat or fish and a glass of wine and it will still lower your risk of cancer and serious disease. (OMNS March 18, 2014) A middle-aged male had success rapidly reducing fast-acting alprazolam (Xanax) dosage by taking very high doses of niacin, along with gamma aminobutyric acid (GABA) and vitamin C. The individual had been on 1 mg/day Xanax for two years, a moderate dose but a long duration. As a result, he had been presenting increased anxiety, personality changes, and ringing in the ears (tinnitus), all side effects likely due to long-term alprazolam use. Typical withdrawal from this drug would involve substitution medication, about a 10% dose reduction per week, and take a matter of months. A fast withdrawal is a 12.5 to 25% reduction per week. On very high doses of niacin, vitamin C, and also GABA, this individual reported being able to cut the dose 60% down to 0.4 mg in one week. The dose was reduced by 90% (to 0.1 mg/day) in less than a month. He reported residual anxiety, but that it was substantially less than when fully medicated. After a total of five weeks, the medication intake was zero, with minimal residual anxiety. Niacin doses were between 6,000 and 12,000 mg/day. The individual reported reduced anxiety when taking the highest levels of niacin. Bowel-tolerance levels of vitamin C were taken daily, along with 750 mg of GABA twice daily. The individual also drank a quart of beet/cabbage soup broth daily for the first week, took 400 mg magnesium citrate/day, and took sublingual methylcobalamin (hi-absorption B-12), 5,000 mcg twice a week. During the initial total withdrawal from alprazolam, intake of GABA was 750 mg three times daily. The patient experienced side effects of daily but manageable anxiety. He also reported occasional nausea, possibly attributable to the GABA and almost certainly attributable to the extremely high niacin intake. He experienced increased frequency of urination, especially at night. Evening niacin doses as inositol hexaniacinate (a semi-sustained release, no-flush niacin) reduced nighttime urination. The individual used regular flush niacin about three-quarters of the time; inositol hexaniacinate constituted the balance. Dosage was divided into eight to ten 1,000 mg 8-10 such doses in 24 hours. Niacinamide was specifically not used, as its nausea threshold is low (under 6,000 mg day). Dr. Abram Hoffer had observed beneficial anticonvulsant activity by performing coadministration of niacinamide with anticonvulsants to treat epileptics in the early 1950s (personal communication). The dosage of the anticonvulsant could be reduced by 50% when 1,000-2,000 mg of niacin was administered with each meal. Hoffer noted that this was beneficial to patients because at the lower dose of anticonvulsant they were not nearly as drowsy. In the late 1970s niacinamide was reported to be a ligand for the benzodiazepine receptor with physiological activities. Later studies suggested that the effect is not based on a direct specific interaction between niacinamide and benzodiazepine receptors. [3-5] However, ten years later a completely different benzodiazepine-binding receptor was identified in the peripheral nervous system. This peripheral benzodiazepine receptor, known as translocator protein (TSPO), can modulate neurosteroids, which can alter neuronal excitability through interactions with GABA neurotransmitter ion channels. This can enhance GABA receptor function. A common question is, how exactly GABA taken orally can help if it does not readily cross the blood brain barrier (BBB). While GABA receptors are primarily known for their CNS locations and functions, there are also GABA receptors in the liver, immune cells, and lung cells that are accessible to bind GABA without crossing the BBB. The peripheral benzodiazepine receptor TSPO, as mentioned above, is one example. This can activate neurons in peripheral nerves that ultimately affect the CNS as well. This case report described however, showed a positive result when using niacin. The common theme here is nicotinamide adenine dinucleotide (NAD) since both niacin and niacinamide are converted to NAD by the body. This indicates that therapeutic benefit is most likely being mediated via the increase in NAD levels, not through activation of the high affinity niacin G-protein coupled receptor, GPR109a, which niacinamide does not bind. NAD is used in over 450 reactions by the body, which is more than any other vitamin-derived molecule. The following are just a small list of the pathways that are dependent on it: drug/xenobiotic metabolism, steroid metabolism, basic glycolysis/TCA ATP generation, and many more. These pathways are quite complicated, but one thing is for certain. We are susceptible to niacin deficiency as exemplified by the deadly pellagra epidemics in the first two decades of the 20 century, which killed over 100,000 people in the southern United States. Due to this epidemic, President Roosevelt commissioned epidemiologists to begin working on this serious problem. Many people with skin disorders were placed in sanitariums because common subclinical pellagra symptoms are dermatitis and sensitivity to sunlight. Specifically, Xanax is metabolized by the enzyme CYP3A4. Xanax induces CYP3A4 expression, meaning the body responds to Xanax administration by making more of the enzyme that degrades the Xanax molecule. The enzymatic reaction is dependent on the presence of the cofactor NAD, which is derived from niacin in the diet. The drug metabolizing enzyme reaction cannot proceed without the presence of all 3: the substrate (Xanax), the enzyme (CYP3A4), and the cofactor in NAD (derived from niacin). Individuals taking Xanax are likely to have high levels of the drug and the enzyme. But the metabolic reaction utilizing this enzyme that degrades the drug is commonly limited by insufficient levels of the cofactor, NAD. By administering high doses of niacin, the concentration of NAD is increased, which then accelerates the rate of the drug-metabolizing reaction, ultimately clearing the drug from the body faster. The niacin flush / vasodilation is likely to aid in delivery to otherwise hard to reach anatomical locations as well as increase physical flow of the drug metabolites. GABA seems likely to be a safer replacement to withdraw from as compared to simple weaning off of alprazolam. Using GABA is an orthomolecular approach, involving manipulating a substance normally present in the body. Ingested GABA will be metabolized by the normal endogenous mechanisms, for which humans have evolved to control properly. GABA will likely be cleared better than alprazolam and not be afflicted with the non-specific affects associated with the foreign molecule that GABA is. GABA is one of the main inhibitory neurotransmitters in the brain. Oral GABA does not cross the blood brain barrier (BBB), but yet GABA oral ingestion still exerts the calming effect that is attributed to GABA activity. Low GABA is detectable in Xanax withdrawal, while plenty of GABA enables one to feel calm and to sleep better. GABA has been successfully used to assist with Xanax withdrawal . Another molecule, picamilon, is a niacin molecule bonded to GABA as one single molecule that may be useful. Picamilon crosses the BBB and then is broken down to niacin and GABA. Picamilon can help restore GABA receptor levels. Also GABA is degraded into succinate, which in its own right can provide a significant source of energy as it directly enters the TCA cycle. Even though the exact reason is unknown, people taking GABA have noticed calming effects. The placebo effect may be responsible for part of the benefit. However, it is likely at high doses some GABA does get into the CNS. Magnesium depletion is common in nearly all examples of people ingesting drugs. Thus, magnesium supplements are helpful. Nightly Epsom salt baths and 400 mg of magnesium citrate, once in the morning and once in the afternoon can facilitate a smooth transition away from alprazolam. Also realize that if you desire to measure your magnesium levels, be sure to do either the red blood cell test or the ionized magnesium test. However, do not test for serum magnesium levels. Serum magnesium concentrations are so tightly controlled that the results are invariably normal, so the test has been removed from the standard blood test suite. Collectively this case history and biochemical rationale indicate that very high doses of niacin, GABA, and vitamin C together may greatly speed detox and reduce withdrawal symptoms from alprazolam. Additional therapeutic trials are warranted. It is emphasized that every person is different and that this experience may not be applicable to all. Alprazolam is a seriously addictive drug and withdrawal symptoms may be severe. Every individual should work closely with their healthcare provider. 3. Lapin IP. (1981) Nicotinamide, inosine and hypoxanthine, putative endogenous ligands of the benzodiazepine receptor, opposite to diazepam are much more effective against kynurenine-induced seizures than against pentylenetetrazol-induced seizures. Pharmacology Biochemistry and Behavior, 14(5): 589-593. 4. Möhler H, Polc P, Cumin R, Pieri L, Kettler R. (1979) Nicotinamide is a brain constituent with benzodiazepine-like actions. Nature, 278(5704):563-5. 5. Tallman JF, Paul SM, Skolnick P, and Gallager DW. (1980) Receptors for the age of anxiety: pharmacology of the benzodiazepines. Science, 207(4428): 274-281. 6. Riond J, Mattei MG, Kaghad M, et al. (1991) Molecular cloning and chromosomal localization of a human peripheral-type benzodiazepine receptor. Eur J Biochem. 195(2):305-311. 7. Belelli D and Lambert JJ. (2005) Neurosteroids: endogenous regulators of the GABA(A) receptor. Nat Rev Neurosci, 6(7): 565-575. 8. Prousky JE. (2004) Niacinamide's Potent role in alleviating anxiety with its benzodiazepine-like properties: a case report. J Orthomol Med, 19(2): 104-110. 9. Prousky J and Seely D. (2005) The treatment of migraines and tension-type headaches with intravenous and oral niacin (nicotinic acid): systematic review of the literature. Nutr J, 4:3. 10. Bronson PJ. (2011) A Biochemists Experience with GABA. J Orthomolecular Med, 26:11-14. 12. Cathcart, Robert F. III. (1981) The method of determining proper doses of vitamin C for the treatment of disease by titrating to bowel tolerance. Journal of Orthomolecular Psychiatry. 10:125-132. Seeing your favorite snacks in the pantry or cabinet. Sitting near a vending machine at work. Feeling tired or bored, and looking for food as a "pick-me-up." Having no plan for making dinner when you get home from work. Going through a drive-thru food or coffee line each day. 17/01/2012- Nearly one third of Australian adults are suffering vitamin D deficiency according to a study involving more than 11,000 adults from around the country. This is the first national study to evaluate the vitamin D status of Australians. Those at greatest risk for deficiency were women, the elderly, the obese, people doing less than 2.5 hours of physical activity a week, and people of non- European background. The results highlight vitamin D deficiency as a major public health issue for Australia that requires urgent attention, said study leader Professor Robin Daly, Chair of Exercise and Ageing within the Centre for Physical Activity and Nutrition Research at Deakin University, and honorary fellow in the Department of Medicine (Northwest Academic Centre) at the University of Melbourne. "Vitamin D deficiency is emerging as a major health problem worldwide. It is clear from the results of our study that, despite an abundance of vitamin D rich sunlight, Australians are not immune from this issue," he said. "Low levels of vitamin D can contribute to a number of serious, potentially life-threatening, conditions such as softened bones; diseases that cause progressive muscle weakness leading to an increased risk of falls, osteoporosis, cardiovascular disease, certain types of cancer and type 2 diabetes. "While it was reassuring that only four per cent of the population had severely deficient levels, national strategies are urgently needed to attack the high prevalence of vitamin D deficiency in Australia before the problem worsens." For the study, the researchers measured the vitamin D levels of 11,218 adults aged 25-95 years from all six states and the Northern Territory as part of the Australian Diabetes, Obesity and Lifestyle (AusDiab) study conducted by the Baker IDI Heart and Diabetes Institute in 1999-2000. The prevalence of vitamin D deficiency increased with age, especially in women; 26 per cent of women aged 25-34 years were deficient which increased to 57 per cent for those aged 75 years and over. This is an important finding as vitamin D deficiency is a key risk factor for falls and fractures in the elderly. 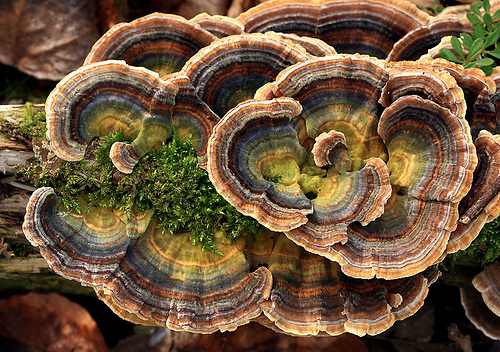 The prevalence of deficiency was also found to vary markedly by season and location, with deficiency more common during winter and in people residing in the southern states of Australia. "For example, 42 per cent of women and 27 per cent of men living in the southern states were deficient during summer-autumn, which increased to 58 per cent of women and 35 per cent of men during winter-spring. Even in the northern states 31 per cent of women and 15 per cent of men were vitamin D deficient during winter-spring," Professor Daly said. Professor Daly and his co-authors from the University of Melbourne and the Baker IDI Heart and Diabetes Institute said it was timely and appropriate to develop national strategies across the whole population and further awareness campaigns for balancing safe sun exposure and adequate vitamin D intake to ensure optimal vitamin D status year-round for all Australians. The results are published in the journal Clinical Endocrinology. Cardiorespiratory fitness (CRF) appears to be a strong independent predictor of not only developing 2 common cancers, but also the prognosis. The risk of developing both lung and colorectal cancer were decreased by 68% and 38%, respectively, in men with the highest levels of fitness, as compared with those who were the least fit, according to a new study. A high level of fitness was also associated with a 14% reduction in cancer-specific mortality (hazard ratio [HR], 0.86; P < .001), and a 23% reduction in cardiovascular-specific mortality (HR, 0.77; P < .001). "It is well accepted that fitness is a powerful way to predict cardiovascular disease and survival, even above other risk factors including self reported physical activity, said lead study author Susan Lakoski, MD, assistant professor of medicine at the University of Vermont, in Burlington. "Unfortunately, little is known about fitness as a predictor of cancer incidence and subsequent outcomes in patients who develop cancer." "This is important to identify robust predictive markers as its becoming increasingly necessary as cancer incidence is projected to increase over the next 2 decades," said Dr. Lakoski. "Patients are now expected to live sufficiently long to be at risk for non–cancer related mortality, specifically cardiovascular disease." Dr. Lakoski presented the findings of her research at a press briefing held in advance of the 2013 annual meeting of the American Society of Clinical Oncology® (ASCO). Few studies have examined the prognostic importance of CRF in relationship to cancer incidence or cause-specific mortality following a cancer diagnosis in men. In the current study, Dr. Lakoski and colleagues evaluated the association between CRF and the incidence of prostate, lung, or colorectal cancer in men, and subsequent cause-specific mortality among men who had received a cancer diagnosis. The cohort included 17,049 men (mean age, 50 years) who had received a single cardiovascular fitness assessment as part of a specialized preventive health check-up visit that was offered at the Cooper Institute, in Dallas, Texas. Performance was recorded in established units of fitness called metabolic equivalents (METs). The participants were then separated into 5 quintiles according to their fitness performance. Medicare claims were then subsequently analyzed to identify the participants who had developed lung, colorectal, or prostate cancer. The mean times from their initial CRF assessment to cancer incidence and death were 20.2 ± 8.2 years and 24.4 ± 8.5 years, respectively. During this time period, a total of 2885 men were diagnosed with prostate, lung, or colorectal cancer (2332 with prostate cancer, 276 with colorectal cancer, and 277 with lung cancer). Within the study period, a total of 769 men died of all-cause mortality, with 347 of those deaths due to cancer, and 159 to cardiovascular disease. "Fitness did not significantly impact prostate cancer risk," Dr. Lakoski said. "The data was also adjusted for risk factors such as body weight and age." Compared with men in the lowest CRF quintile, the adjusted hazard ratio for lung, colorectal, and prostate cancer incidence among men in the highest CRF quintile was 0.32 (95% confidence interval [CI], 0.20 - 0.51; P < .001), 0.62 (95% CI, 0.40 - 0.97; P = .05), and 1.13 (95% CI, 0.97 - 1.33; P = .14), respectively. For men who developed cancer, cancer-specific mortality and cardiovascular-specific mortality decreased across increasing CRF quintiles (P values < .001). For example, even a small improvement in fitness levels (1-MET increase in CRF) was associated with a 14% reduction in cancer-specific mortality (HR, 0.86; 95% CI, 0.81 - 0.91; P < .001) and a 23% reduction in cardiovascular-specific mortality (HR, 0.77; 95% CI, 0.69 - 0.85; P < .001). The study authors also found that that even if the men weren't obese, those who had low fitness had an increased risk for cancer and cardiovascular disease. Fitness is a strong independent predictor of incident lung and colorectal cancer in men, and also a robust predictor of cause-specific mortality in middle-aged and older men diagnosed with lung, prostate, or colorectal cancer, Dr. Lakoski concluded. "These findings provide support for the utility of fitness testing in the preventive healthcare settings to determine cancer risk and prognosis after cancer." This is one of the first studies to establish CRF as an independent and strong predictor of cancer risk and prognosis, commented ASCO President Sandra M. Swain, MD, FACP. "A really interesting finding is that even if men aren't obese, they can still have an increased risk of cancer even if they're not fit." "This suggests that everyone can benefit from improving their fitness," said Dr. Swain, who served as a comoderator of the briefing. This research was supported by the National Cancer Institute. Coauthor Jeffrey M. Peppercorn, MD, MPH, reports relationships with GlaxoSmithKline, Bayer, and Genentech. 2013 Annual Meeting of the American Society of Clinical Oncology: Abstract 1520. Will be presented June 2, 2013. Cite this article: Being Fit Can Protect Against Developing, Dying of Cancer. Medscape. May 16, 2013. The study has discovered a gene known as T-bet is responsible for production of a type of cell that helps repair the lining of the gut and maintain the balance of good and bad gut bacteria. The results are reported today in Nature Immunology . "There's a group of immune cells that essentially regulate the good and the bad bacteria and it's not been known how the body makes those cells," says lead author Associate Professor Gabrielle Belz, from the Walter and Eliza Hall Institute. "We've been looking at one of those genes that is responsible for one of those cell types actually being generated and collectively protecting the gut from infections and bad bacteria." Genetically-engineered mice with this particular gene 'knocked out' are much more susceptible to gut infections, she says. The cells, called innate lymphoid cells (ILC), come in many different forms and serve a range of functions throughout the body. However in this case, the researchers focused on a particular type of innate lymphoid cell that produces a immune signalling protein called interleukin 22 (IL-22). "IL22 is protective so it helps repair the epithelium [the cells lining the gut] and if the epithelium is intact then you tend not to get problems with differentiation that lead to cancer," says Belz. "Whereas if those cells don't exist, it has been shown recently that it could lead to the development of cancer in a mouse model." 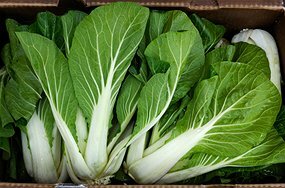 Green leafy vegetables such as bok choi and broccoli contain a compound already known to indirectly trigger a receptor on the surface of innate lymphocytes. This new research suggests this compound could play a role in development and function of these cells. "Proteins in these leafy greens could be part of some signaling pathway that is used by T-bet to produce ILCs," says Belz. Understanding how these important gut immune cells are produced and what affects their production could help researchers to understand what happens when this system breaks down. While the study was conducted in mice, it could have implications for human diseases that affect the gut, such as Crohn's disease, and even conditions such as obesity. "It has been shown that the microbiome of the gut influences the ability to use nutrients properly and therefore obesity - at the moment there's an interesting network of links to the intestinal health of an animal, as regulated by these different cells types," Belz says. "So people are starting to look at whether exactly the same sorts of arrangements are occurring in humans because potentially they could be a target of treatments." Mix well and roll out very thinly between two sheets of baking paper removing the top sheet and score with a knife for smaller cracker sizes. Linseed and sesame seeds may be ground before mixing. Happy baking and snacking !! (OMNS Dec 20, 2013) Nutritional supplementation with antioxidants and the B-complex vitamins has been shown to help prevent dementia. Half of all cases of Alzheimer's, the most common form of dementia, could be attributable to known dietary and lifestyle risk factors, and at least one fifth of current cases could be prevented right now. But there's no money for prevention research, or sufficient political will to put prevention steps into action. To date, tens of billions of dollars have been spent on developing drugs, none of which have proven to stop or slow down the disease process. Yet already studies have shown that B vitamins have decreased the rate of brain shrinkage in the areas affected by Alzheimer's by almost nine times, as well as dramatically slowing down memory loss, in people with mild cognitive impairment, the precursor to Alzheimer's. Other promising preventive factors include exercise; controlling blood sugar and blood pressure; omega-3 fish oils; and getting involved in more social activities. "Of the millions of pounds so far pledged for dementia research by the UK Government, none has been spent on prevention," says Professor David Smith from Oxford University. Dr. Smith's research group first identified that almost half of people over 60 have insufficient vitamin B12 to stop accelerated brain shrinkage. He believes we need to wake up to the fact that Alzheimer's is unlikely to be prevented by drugs. Eat fish - Eat fish three to four times a week, with at least two servings of oily fish (salmon, mackerel, herrings, kippers, sardines or tuna). Eat more nuts and seeds, preferably raw. Up the antioxidants - Eat at least six servings of brightly colored vegetables and berries. Supplemental vitamin E (natural mixed tocopherols and tocotrienols) 400 IU and several thousand mg of vitamin C per day are both good ideas. Cut sugar and refined carbs - Follow a low glycemic load, Mediterranean style diet, with slow-releasing "whole" carbohydrates. Minimize sugar, sugary drinks and juices. Take B vitamins - Supplementing with vitamin B6 (20mg), B12 (500mcg), niacinamide (400 mg) and folic acid (400mcg) is a sensible precaution. People with raised homocysteine need higher supplemental vitamin intake to prevent brain shrinkage. Limit coffee and stop smoking - Choose herbal or green tea instead. Be active - Keep physically, socially and mentally active by learning new things. Ray Hodgson tried this approach. He took B vitamins and has also improved his diet, eating more fish, vegetables, and whole foods, and cutting back on sugar. "The effect has been remarkable," he said. "Whereas I had been forgetting names and finding it hard to take on new skills, my memory and concentration are definitely better." The world-wide costs of dementia in 2010 were estimated to be over $600 billion. Prevention of dementia would thus not only prevent a tremendous amount of human suffering but would also save huge sums of money. A recent study  of the effect of B vitamins on a large group of participants reported an inverse relationship between blood serum levels of vitamin B6, methionine, and folate and the risk of lung cancer. High serum levels of vitamin B6, methionine and folate were associated with a 50% or greater reduction in lung cancer risk. This exciting finding has not been widely reported in the media, but it confirms a growing body of evidence gathered over the last 40 years that B vitamins are important for preventing diseases such as cancer. The study gathered information about the lifestyle and diet of 385,000 people in several European countries. The average age was 64 years, and most had a history of drinking alcohol daily. Blood samples were then taken from these participants, and some of those (889) that developed lung cancer were analyzed for the level of several B vitamins and related biochemicals such as methionine, an essential amino acid. These nutrients were studied because they are known to be important in the metabolism of single carbon compounds, which is necessary for the synthesis and repair of DNA in the body's tissues . Thus, B vitamins are helpful in preventing defects in DNA which can cause cancer [2-4]. Specifically, a high level of either vitamin B6, or methionine, or folate reduced the risk for lung cancer. High levels of all these nutrients together produced an even lower risk. The effects were large, so the results are highly significant. The study divided the participants into three categories, depending on whether they currently smoked, had previously smoked, or had never smoked. While smoking is the most important lifestyle factor in the risk for lung cancer, interestingly, the effects of vitamin B6, methionine, and folate were fairly constant among the three categories. That is, those with higher levels of these B vitamins had a significantly lower risk of lung cancer no matter whether they smoked or not. The report emphasizes that this result strongly suggests that the effect of these essential nutrients in lowering the risk for cancer is real and not purely a statistical correlation. And, the report reiterates that smoking is dangerous, greatly increasing the risk for lung cancer in older people after decades of insult to the lungs. Some widely-reported health studies have suggested that B vitamins can increase the risk of cancer. The theory is that these vitamins can help to prevent cancer from their effects in strengthening DNA synthesis and repair, but that when cancer is present, the vitamins supposedly help the cancer to grow . However, there is a long history of health studies, including the above mentioned study, reporting that B vitamins including folate and vitamin B6 can help to prevent many types of cancer, such as breast, prostate and colorectal cancer [1-6]. It is just amazing how the news media could have missed this, but they pretty much did. In one much-publicized study  it was widely claimed that "Multivitamins increase deaths in older women!" Actually, the study found that B complex vitamins were associated with a 7 percent decrease in mortality, vitamin C was associated with a 4 percent decrease in mortality, vitamin D was associated with an 8 percent decrease in mortality, and several minerals were associated with a decrease in mortality. Essential nutrients in a well-balanced diet, including B-complex, C, D, and E vitamins, are crucial to maintaining good health into old age for a variety of reasons. Persons taking adequate levels of vitamins will live longer, with fewer heart attacks  and other serious diseases such as diabetes , multiple sclerosis , and dementia . The question begged by the report is, what role did vitamin supplements play in the blood levels reported for these essential nutrients? Taking a multivitamin that includes B-complex vitamins will obviously increase the blood levels of these essential nutrients. However, the value of supplements was not emphasized in the report. So we will emphasize it here. Vitamins dramatically lower lung cancer risk. Supplements provide these nutrients in abundance. Modern diets do not. 1. Johansson M, Relton C, Ueland PM, et al. Serum B vitamin levels and risk of lung cancer. JAMA. 2010 Jun 16;303(23):2377-85. 2. Xu X, Chen J. One-carbon metabolism and breast cancer: an epidemiological perspective. J Genet Genomics. 2009;36: 203-214. 3. Larsson SC, Orsini N, Wolk A. Vitamin B6 and risk of colorectal cancer: a meta-analysis of prospective studies. JAMA. 2010;303:1077-1083. 4. Ames BN. Prevention of mutation, cancer, and other age-associated diseases by optimizing micronutrient intake. J Nucleic Acids. 2010 Sep 22;2010. pii: 725071. 5. Mason JB. Unraveling the complex relationship between folate and cancer risk. Biofactors. 2011 Jul;37(4):253-60. 6. Giovannucci E. Epidemiologic studies of folate and colorectal neoplasia: a review. J Nutr. 2002;132(Suppl):S2350-S2355. 7. Mursu J, Robien K, Harnack LJ, Park K, Jacobs DR Jr. Dietary supplements and mortality rate in older women. The Iowa Women's Health Study. Arch Intern Med 2011. 171(18):1625-1633. 8. Pfister R, Sharp SJ, Luben R, et al. Plasma vitamin C predicts incident heart failure in men and women in European Prospective Investigation into Cancer and Nutrition-Norfolk prospective study. Am Heart J. 2011 Aug;162(2):246-53. 9. Harding AH, Wareham NJ, Bingham SA, et al. Plasma vitamin C level, fruit and vegetable consumption, and the risk of new-onset type 2 diabetes mellitus: the European prospective investigation of cancer--Norfolk prospective study. Arch Intern Med. 2008 Jul 28;168(14):1493-9. 10. Solomon AJ. Multiple sclerosis and vitamin D. Neurology. 2011 Oct 25;77(17):e99-e100. 11. Selhub J, Troen A, Rosenberg IH. B vitamins and the aging brain. Nutr Rev. 2010 Dec;68 Suppl 2:S112-8.